60% of people in the UK buy themselves a coffee to go once a week, with 14.8 million buying coffee every single day*. Coffee is one of the fastest growing drink categories in the world so those figures are set to rise rapidly. 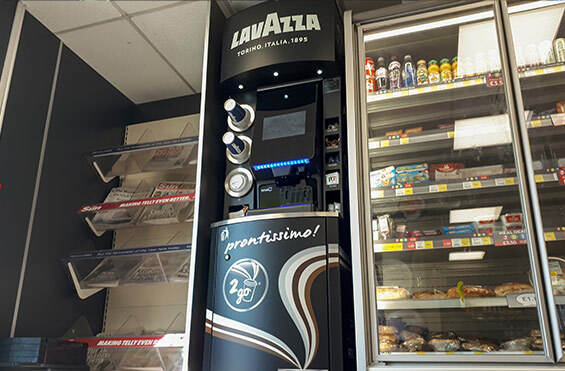 If you’re looking to drive footfall into your stores and increase revenue, choose one of our industry-leading retail coffee machines and join this fast-growing market. Your profits are your profits. With our flexible lease options you’ll keep 100% of the revenue from every cup you sell. 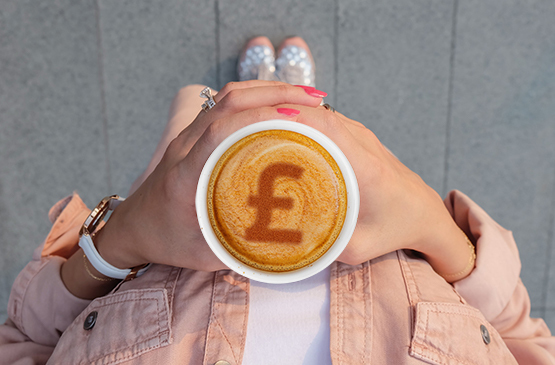 Use our profit calculator to see how a retail coffee machine will help you increase revenue. 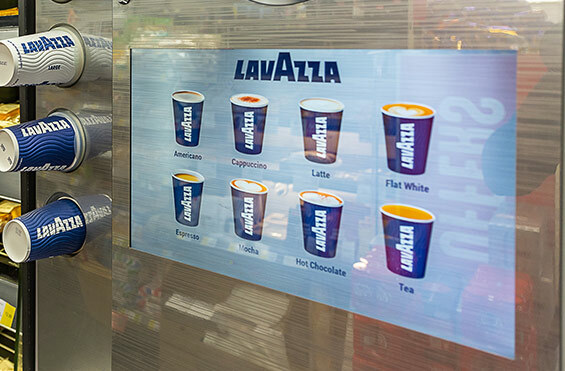 Our partner brands Lavazza, Nescafé and PG tips have built their reputations on quality, taste and value. Their brands are instantly recognisable and trusted by consumers across the globe. Use their reputation to drive footfall into your stores and forecourts. Using media playback is a great way to capture your customer’s attention and advertise complementary products and in-store deals. You’ll get the most from your retail coffee machine and enjoy peace of mind knowing one-to-one support is always on hand.